Tonight, we announce the official name change to The Remix!! New name, new site, same GREAT conversation!! 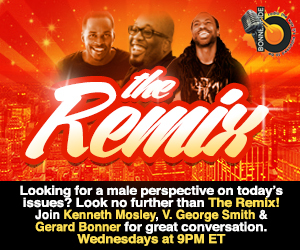 Join our hosts Kenneth Mosley, V. George Smith, and Gerard Bonner as they discuss “Chivalry v. Thirst”. Has chivalry been replaced by thirst? Is there any place left in today’s dating scene for chivalry? Join the discussion tonight with music from Musiq Soulchild, Tank, Tye Tribbett, and more. 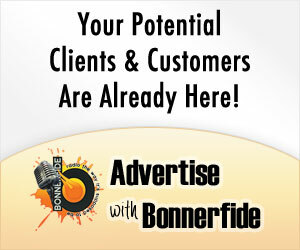 This entry was posted in Podcasts, The Remix and tagged Bonnerfide Radio, Chivalry, Gerard Bonner, Kenneth Mosley, Musiq Soulchild, Tank, The Remix, Thirst, Tye Tribbett, V. George Smith. Bookmark the permalink. Trackbacks are closed, but you can post a comment.